Roller Shutters Costs - Installed roller shutters in Australia generally range from $750 to $5000 depending on shutter size, type of material, scaffolding requirements, type of motor, durability of the product and accessories included. Asking for a "standard" price is challenging because there are no standard windows. We make it very easy for you to get an accurate price. If you navigate to any one of our products you can choose the number of shutters, size of each and instantly have a full price including full installation, wiring, + GST. Want an online quote for cheap roller shutters? Simply shop for shutters now. If you would rather speak to someone to describe your home, window situation or get questions answered you can quickly use our "Get a Quote" form and someone will be in touch very shortly. What the rest of this page is about will be what makes up the cost. Why do roller shutters cost so much? What can you do to minimise the cost of shutters and how do you not get overcharged in an industry with very limited regulation? Affordable window shutters can be yours. Why Do Companies Charge Such Drastically Different Prices? Roller shutter companies know that most people will only purchase shutters once or twice in their lives. Therefore they have little incentive to earn repeat business. The logical move for many is thus to earn as much as possible from each job and if a customer feels it was a bit high then it won't matter as they aren't coming back either way. Where does that leave Ultimate Shutter? We are analogous to Grill'd perhaps. We want to offer a better product at a fair price. We do have a "cheaper" shutter in the Prime to cater for those who want a bare-bones shutter but our standard Slimline shutter is feature-heavy and an excellent value for money. Whatever you do, don't just get one quote. Get multiple quotes, figure out total prices not just the cost of the shutter, and compare apples to apples. We hope you'll see that we're very competitive for what we consider to be the best value shutters in Australia. Click on your nearest city to know more about roller shutters installation in your area. What Goes Into Roller Shutter Pricing? 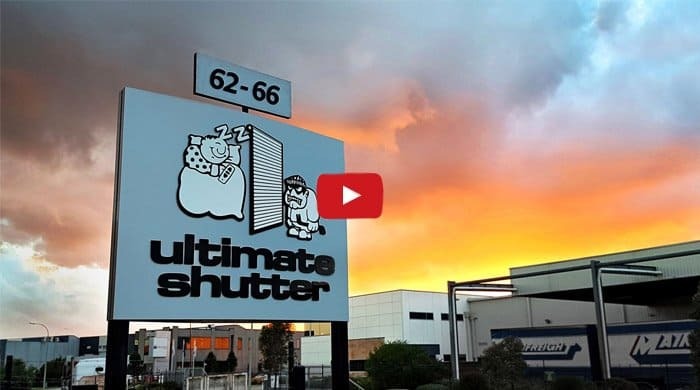 Our animated shutter shows 18 different components of a roller shutter. While there are more parts (screws, rivets, etc.) these component parts make up the majority of parts for a shutter. So what are they? Top Cover - Protects the back & top of the shutter and keeps it enclosed. This is the back half of the pelmet. Front Cover - The rounded section of the pelmet which keeps the motor & all interior parts covered. Pelmet End Caps - The motor & axle are held in place by these ends which complete the pelmet. Protective Side Plates - These plates keep the shutter from jamming and reduce your repair bills. Motor Mounts - Attach the motor to the end caps & hold it all together. ASA Tubular Motors - Our Italian-made 230V motor. All Ultimate Shutter products are motorised shutters. Axle - The 56mm x 2.1mm extruded aluminium axle secures the roller shutter without interfering with the motor's operation. Rubber Rings - These rings protect the shutter from making metal to metal contact with the axle & damaging the shutter profile. Foam Pad Shutter Springs - More security from metal on metal contact extends the life of your shutter & helps it close properly. Nylon Shutter Entry Guides - These guides keep everything on track and in the track to avoid unnecessary problems. Heavy Duty Idle Roller - Solid 6mm axle roller can support large shutters without flexing and with little roll resistence. 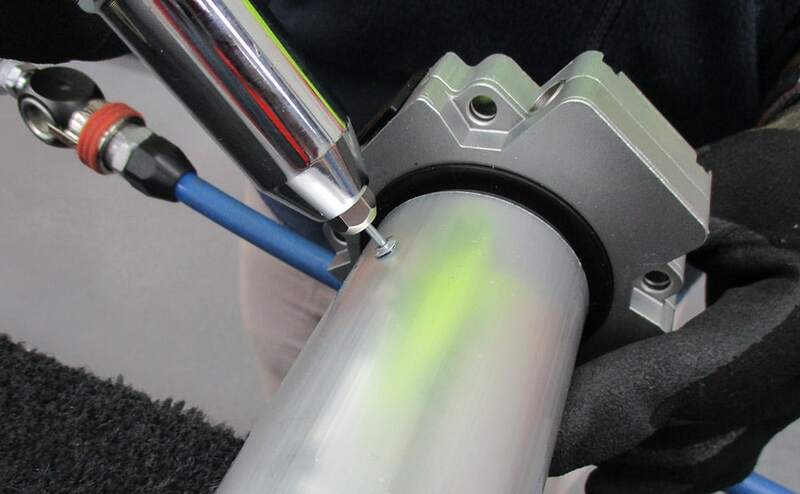 Shutter Guides - The guides do exactly that - guiding the shutter down its track and into place properly. Schlegel Brush - Keeps your shutter from scraping against the shutter guides as it moves up & down the tracks. 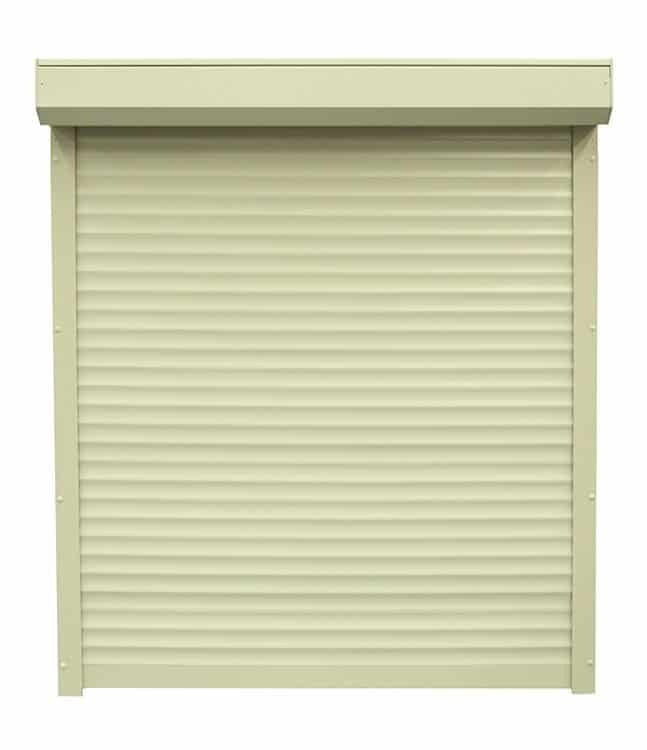 Shutter Profiles - 44mm aluminium, foam filled slats that are designed to roll up compact and span up to 3600mm. Retaining Clips - End caps for your profiles, protecting the foam insulation & finishing the slats. V-Locks - Secure the shutter into the bottom rail. Bottom Rail - Our 50mm x 1.6mm twin chamber strengthening rail to help with security. Shutter Stops - Designed for windows with no sill to help guide the shutter to its fully closed position. 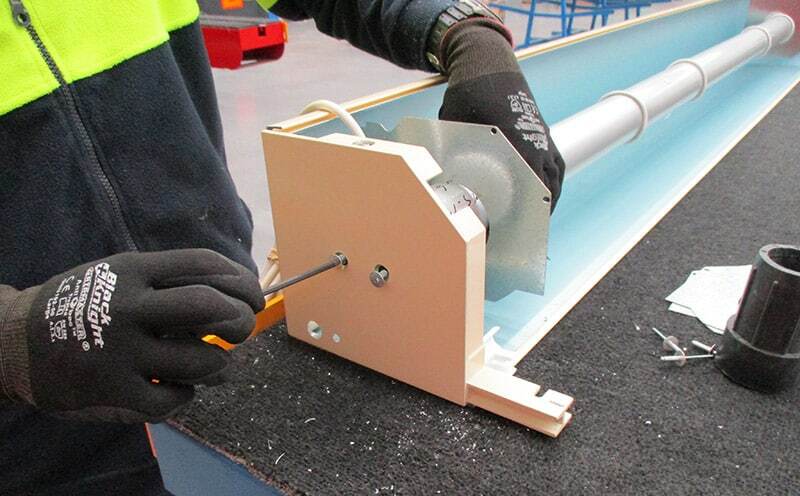 For more information about our roller shutter parts, please have a read through our information.